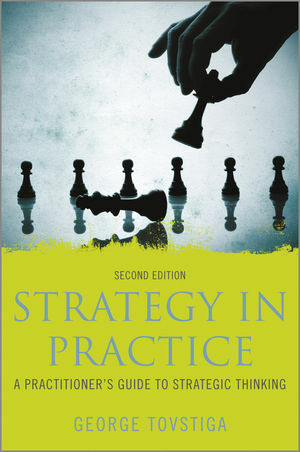 The 2nd edition of Strategy in Practice presents a practitioner focused approach to strategy. It is increasingly recognised that the ability to adapt classic formulas to changing circumstances and develop fast, sound strategic thinking is what differentiates the successful corporate leader. Developed from experience in industry this successful text will include an instructor site with PowerPoint slides, extra examples and exercises, and links highlighting changing business practice. • provide tools of strategic analysis in combination with informed intuition to understand the strategic landscape. George Tovstiga is Professor of Strategy and Innovation Management at Henley Business School, University of Reading (UK), where he is Director of the Henley Executive Strategy Programme.